‘Astro Boy’ is getting a Live-Action Film! New Line is looking to partner with Animal Logic (‘The Lego Movie‘) and Tezuka Productions as they work together to produce a live-action movie based on the ‘Astro Boy‘ comic book series. 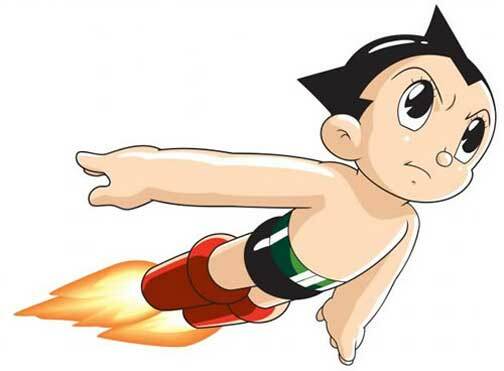 ‘Astro Boy‘ is not a new creation and began as a Japanese manga series from 1951 to 1968 with a vast interest worldwide. The character was adapted to a TV series in both 1980 and 2003 and in 2009 was the subject of an animated movie by Imagi Animation Studios. The project has been underway with Animal Logic and Tezuka for a year without a lot of movement, now they have a hopeful partner and a pair of writers to write the script. Andre Fabrizio and Jeremy Passmore are the pair that are responsible for the script to ‘San Andreas‘, so a live-action ‘Astro Boy‘ will be interesting. ♫♪1,2 Freddy’s Coming For You…Again!!!! Danai Gurira Has Been Added To The Cast Of ‘Avengers: Infinity War’!!! This entry was posted on Wednesday, February 17th, 2016 at 8:11 pm	and is filed under Comics, Film, News, Television. You can follow any responses to this entry through the RSS 2.0 feed. You can skip to the end and leave a response. Pinging is currently not allowed. « Taron Egerton Is Back For ‘Kingsman 2’ With New Villain!! !